Author Celeste Ng poses for a portrait in her home office in Cambridge in 2017. 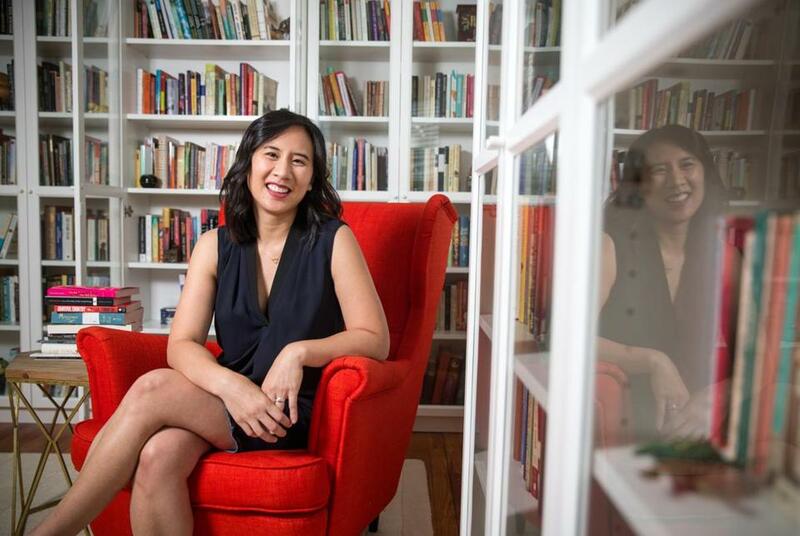 It was just about a year ago that Celeste Ng’s 2014 debut novel, “Everything I Never Told You,” got optioned. Now it looks as if the movie is moving forward -- with Hollywood royalty attached. The book, which was on the New York Times bestseller list for 47 weeks, according to Deadline, was just the first big hit for Ng. The Cambridge author followed up with 2017’s “Little Fires Everywhere,” which was snapped up by Reese Witherspoon and Kerry Washington, who will co-star and executive produce. That project, a limited series, will be on Hulu.